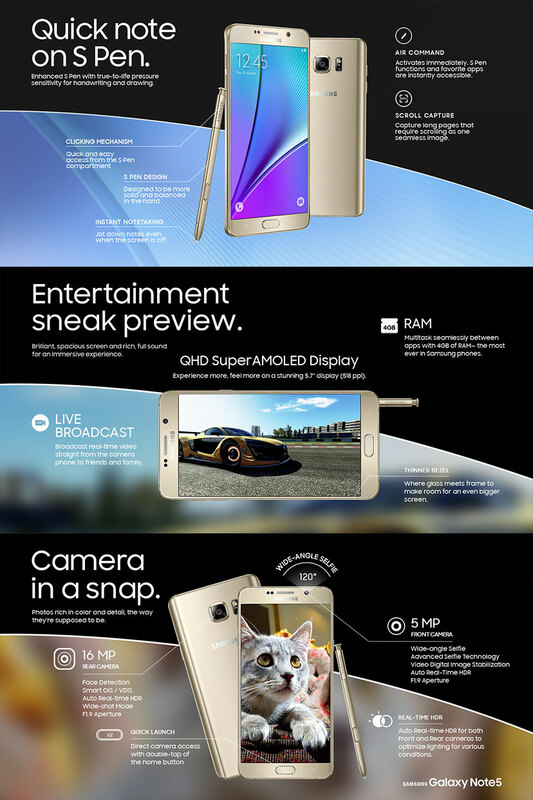 SamsungTomorrow published an Infographic that shows the New features and tools of its latest flagship Phablet, Galaxy Note5. 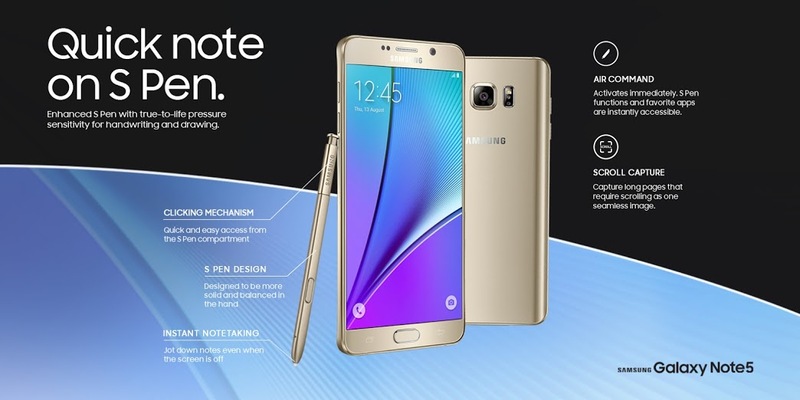 The Infographic shows you how to make a use of all the intuitive, efficient, and powerful tools of your Note5 to Empower your notes on the go. It also gives us a look at the new TouchWiz multi-tasker. Check the Infographic below.